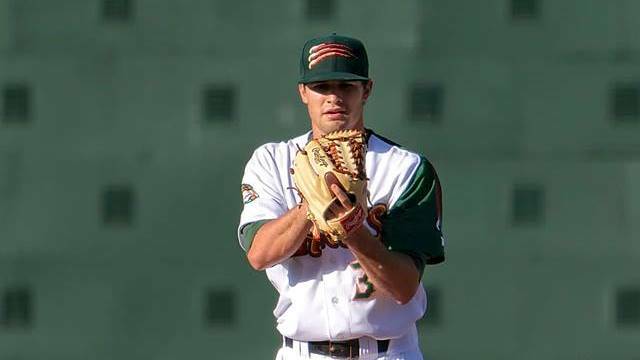 During the off-season we were lucky enough to be able to feature Josh Conway, 2012 4th round draft selection of the Chicago Cubs. 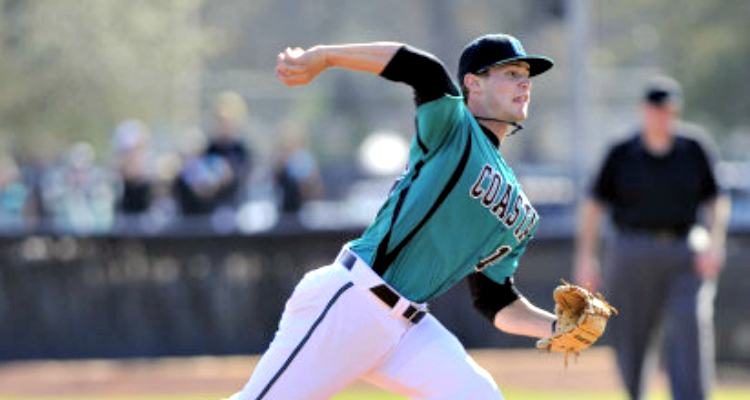 As we interviewed Josh, he was in the middle of a long rehab process from Tommy John surgery. A few weeks ago we touched base with Josh once again and we asked Josh if he would like to share his story of Tommy John Surgery and the rehab process with us. Josh agreed and in the paragraphs that follow are each stage of his experience. I first noticed some stiffness in my forearm about a month before the injury. I was making a start in early April, and in the 6th inning I threw a change-up and noticed some discomfort around my forearm and elbow area. There wasn’t any sharp pain or anything, it was just uncomfortable. I finished the inning, the feeling went away and I felt normal, so I finished my outing through the 7th. The next day during my recovery throwing the same area was pretty stiff and continued to be stiff the rest of the week. Throughout the week I went through rehab with no throwing, skipped my next start and rehabbed the following week as well. After two weeks it felt normal during throwing and in my bullpen, so we went on with my scheduled start and continued to do so for a few more weeks. On April 26, 2012 I made my scheduled start. I went through my normal pre-game routine leading up to my first pitch and everything felt great. Things were going well until the last pitch of the third inning. I threw a fastball away to a righty, and my forearm felt like it cramped up. Between innings I let my pitching coach know and talked to the trainer, and honestly just thought it was the same thing that happened a few weeks before. I went back out for the 4th inning and knew something was wrong right away. With my next few throws I felt like there was hot water running through my elbow. There was also about a 10 mph drop off in my velocity. I came out of the game, went through the UCL tests with our trainer and I didn’t feel any pain. The next day I went for an MRI and there was a confirmed full thickness tear in my right UCL. I arrived in Pensacola, Florida with my parents on May 13th, 2012. The next day we visited Andrews Orthopedic and Sports Medicine Center where I met with Dr. James Andrews. He went through the UCL testing as well, read the MRI and confirmed that surgery would be needed. On May 15th 2012, I arrived at 5:30 am and prepared for surgery. I later woke up from surgery and met with Dr. Andrews to go over how the surgery went. I was sitting with my parents and my agent as Dr. Andrews explained the surgery. During the surgery they take the graft from your forearm or hamstring, mine was taken from my hamstring. From what I understand , the graft is looped in a figure eight pattern to replace the damaged UCL. Dr. Andrews said that at least two loops are required, sometimes get they will get 3 and sometimes even 4 loops. Luckily my graft was long and strong enough to get 4 loops. I went through the rest of the day recovering from surgery with no pain or discomfort, preparing for the beginning of rehab the next day. The next morning I woke up with no pain or discomfort. My family and I went back to visit Dr. Andrews to get a quick check up and go over my rehab. Once Dr. Andrews arrived, him and a physical therapist walked me through my rehab program and showed me exercises I would be doing for the next 32 weeks. Once we met with Dr. Andrews, my parents and I flew home to begin my rehab. The immediate post-operative phase (weeks 0-3) was fairly straight forward; protect the healing tissue, decrease pain/ inflammation, retard muscular atrophy, and protect the graft site. For the first week of rehab, I had numerous exercises for my wrist, forearm and elbow, whereas I was to let my hamstring rest. First, I would work on my wrist range of motion by simply flexing and extending my hand and wrist. Next , I would roll up a small towel and squeeze it lightly for numerous sets. Last were shoulder isometrics. I used a light, air-filled ball to lightly push against a wall in different directions to work all the small muscles in the shoulder. At the end of the first week I was able to remove the splint and wrap from my elbow and replace it with an elbow brace that would help with my range of motion. The next week I added elbow range of motion to tolerance, along with hamstring range of motion. Concluding week two, I had my stitches removed. Each week I was able to add new exercises to increase strength and mobility. During week three I could ride a bike for my leg and added full can and lateral shoulder raises, and finished with internal and external tubing and elbow flexion and extension. I would exercises twice a day for three sets each and finish with ice on my arm and leg. At the end of the third week I was drafted by the Cubs and later reported to Arizona to continue my rehab there. During the intermediate phase (weeks 4-7), I would gradually increase my full range of motion as tolerated, promote healing of repaired tissue, regain and improve muscular strength and restore full function of the graft site. Once I reported to Arizona, we got straight into my rehab, I started light resistance exercises for my arm (1 lb. ): wrist curls, extension, pronation, and supination. I continued my range of motion with my elbow and initiated rotator cuff and scapular strengthening with light dumbbells. The next week I discontinued my brace and had full range of motion as tolerated. For the next few weeks I continued my exercises each day and continued to increase weight with each exercise as my strength increased. For my range of motion I had a trainer help stretch my arm until I was around zero degrees straight and 145 degrees bent. The next phase was to advance my strength (week 8-14). 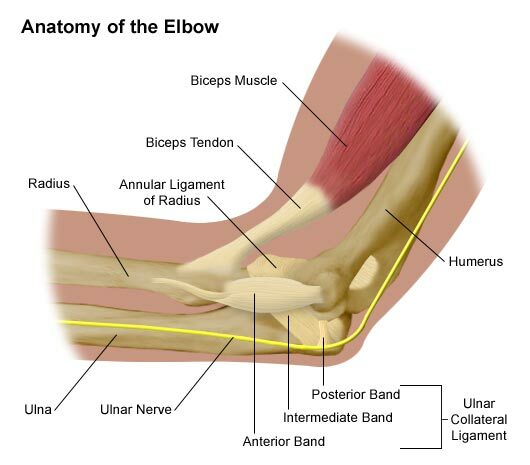 During this phase I would increase strength, power and endurance, maintain full elbow range of motion and gradually initiate sporting activities. I continued all my shoulder and elbow exercises, while beginning to start lift weights. Every other day I would do lower body lifts such as: leg press, lunges, hamstring isometrics, and some sort of conditioning for the day. In between those days I would continue my elbow strengthening, while continuing to do shoulder strengthening everyday. Around week 12-14, I would continue with the lower body work outs and strengthening and I would add upper body strengthening along with my shoulder and elbow work. Once my upper body strengthening started, I would do seated bench press, lat pull downs, bicep and triceps exercises and forearm strengthening, gradually increasing weight with strength. Finally, in the last phase(weeks 14-32) I was able to return to activity. For these weeks I would continue to increase strength, power and endurance of my upper extremity musculature and gradually return to sport activity. During the first couple weeks I continued my shoulder and elbow strengthening and added wall dribbles, plyometric throwing (stationary throwing) and one hand baseball throws into a wall. During week 16, September 17, 2012, I threw my first baseball since April 26th. The next few weeks I would lightly toss starting from 45 feet, gradually increasing to 120 feet. During this time, I would work on my mechanics and fix any problems that I was having before the injury, and also to prevent injury. I finished my phase one throwing on November 3, 2012, three sets of long toss at 120 feet for 20 throws and finished with a 10 pitch flat ground. At the end of the day, I was able to go home for Thanksgiving and Christmas break and give my arm and body a rest. I reported back to Arizona January 6, 2013 to begin Phase Two of the throwing program, which was off of the mound. I took the first two weeks to build my arm strength up, then threw 2 sets of 15 pitches off the mound on January 21st . I would throw fastball and change ups in bullpens every Monday, Wednesday and Friday, gradually throwing more pitches and more sets every week. On February 18th, I threw my first breaking ball, and continued to add that each day of throwing and in each bullpen. After a new months of throwing and bullpens, I was cleared for Spring Training 2013, where I participated fully with no problems with my elbow. After a week in spring training, I threw my first live batting practice, first time I faced hitters since my injury. I could continue to throw to live hitters every five days, with bullpens in between each start. On April 8, 2013, I made my first start in a game, I was allowed two innings or 30 pitches. I concluded the day with no problems in the elbow and was happy to make the jump from rehab to a game. I would continue my 5 day schedule with a bullpen in between, which brings me to where I am now. I concluded my fourth start on the 23rd, going 4 innings or 60 pitches, followed by a bullpen and my next start. Throughout the entire process, I’ve felt confident about my return. I’ve had a lot help and support to make this process so much easier. My family, friends, agents and especially the doctors and trainers have been a wonderful help in getting me where I need to be to get back on the field. Honestly, the injury has been a blessing in disguise. During this time I’ve been able to get stronger and gain weight, work on any mechanical issues, learn patience and ultimately get my arm and entire body healthy. With any injury, you get out of it what you put in, and with all the support I’ve had, I’ve been able to get the most out of each day, which has given me a smooth recovery. We would like to thank Josh for taking the time to write the above story and sharing with us his long journey back from Tommy John surgery. As Josh gets closer to his professional game debut we look forward to telling his story all season long and into the future. Please follow Josh @JoshConway16 on Twitter and us at @CTD_Sypien for more news and information on Josh all season long. For working hard to recover you get to play hard. Very proud of you Josh Conway , fellow Coastal family member. Good luck to you Buddy.